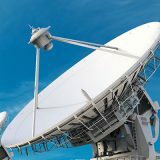 Novagard® products include innovative RTV silicone sealants, adhesives and coatings scientifically formulated to meet unique performance requirements. Our Novagard Process Specialists will work with you to manufacture silicone products that have tailored rheological properties, cure profiles, adhesion characteristics, and physical properties to match your specifications. Why Choose Novagard® Industrial Sealants, Adhesives and Coatings for your Application? 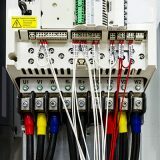 Novagard® 100 Series products have excellent characteristics for most industrial bonding and sealing applications. 100% silicone polymers will not sag or run and cure at room temperature. Meets NSF 51 and FDA requirements. Novagard® 200 Series products are self-leveling silicone sealants for use in applications where the coating needs to flow into small crevices and hard to reach areas to coat intricate electrical and mechanical devices. Novagard® 400 Series products are a non-flowable silicone with excellent adhesion and sealing properties for a wide range of dissimilar materials, including metal, rubber, glass, wood, ceramics and most plastics. 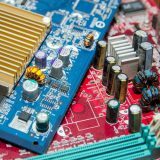 Novagard® 500 Series products are ideal for applications that require quick cures and early green strength development on electronic components, circuit boards, and other sensitive components. 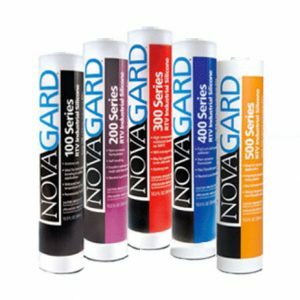 Novagard® 600 Series products are 2-part curing products optimized for fast cure times when bonding dissimilar materials or creating formed in place gaskets for potting and encapsulation applications. 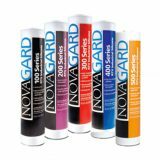 Novagard® 800 Series products are UV/Dual Cure silicon sealants available in flowables, pastes and gels. 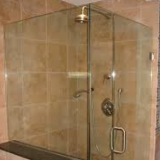 These products cure in seconds when exposed to UV light and can be foamed for cures up to 5/8” thick. 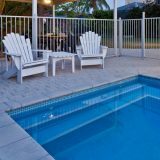 Novagard® pool and spa products are specially formulated for the adhesion of ceramic tile, fiberglass, acrylic, valves, jets, handles and other components.